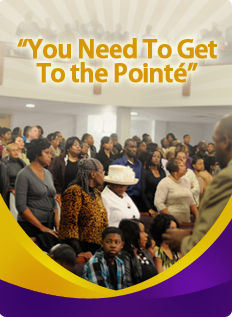 "Where Preaching, Power, Prayer & Praise is the Pointé"
Deacon Christopher Risper is a native of Dallas Texas. He has been a member of the Central Pointe Church of Christ since the congregation was planted in 2000. He is the younger of two older brothers and has three younger sisters .He obeyed the gospel at the age of 10 under the leadership of Reginald Dulin at Dallas West Church of Christ. Chris is an entrepreneur and a carpenter by trade. He enjoys teaching carpentry as well as business skills. He is passionate about teaching others to hone their carpentry skills. Chris is involved in a number of ministries; namely Generation Next and The Men at the Pointe. He believes that children are our future and their futures will be greatly enhanced with an active Christian life. He feels that men must be instrumental in ensuring that our children assume Christian lives in the future. Christ is married to Felicia Lacaze-Risper and they are raising four children; two sons, Christian and Jahmon and two daughters, Jahlia and Trinity. Their children are active in church activities and enjoy praise and worship. The Rispers enjoy spending family time together and having fun and helping others.